Let's begin by listening to a book about sharing. StorylineOnline.net is featuring a great book about sharing by Marcus Pfister called Rainbow Fish. 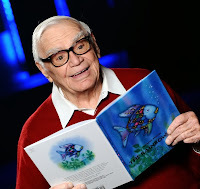 Listen to Ernest Borgnine read Rainbow Fish and retell the story to your table partner when done. 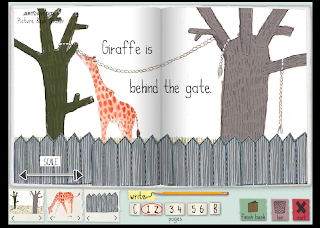 Work with your small group (3-4 students) to create your very own online picture book at Picture Book Maker. Make sure the theme of your story is sharing. Take turns using the mouse, switching every few minutes. Do your best, we will be showing off your picture books to your class at the end of the day!